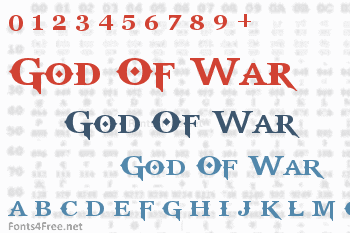 God of War font used in the logo of God of War, an action adventure video game series based on the Greek mythology. The logo of God of War is simply its logotype with an Omega symbol in the center. The lettering of the logotype is very similar to a font called God of War. 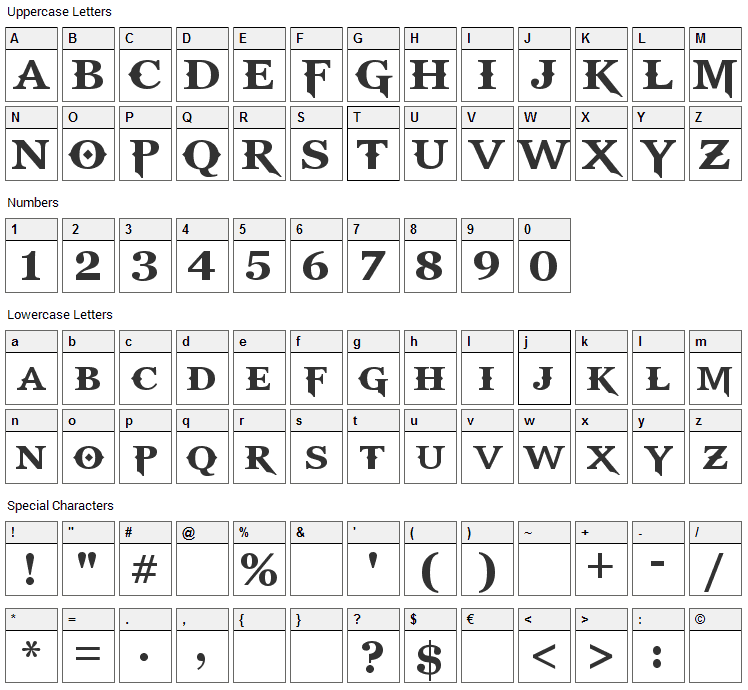 The font is available in uppercase letters, numbers and limited punctuation marks. God Of War font contains 93 defined characters and 85 unique glyphs. 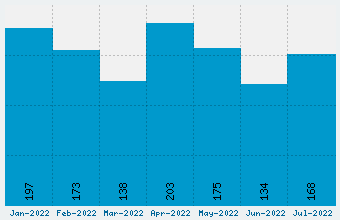 The font contains characters from the following unicode character ranges: Basic Latin (85), Latin-1 Supplement (6), General Punctuation (1). God Of War is a gothic, modern font. The font is licensed as Free for personal use. You can download and use the font free for personal projects. For commercial projects please refer to the license file in the package or contact the designer directly. God Of War font has been rated 4.5 out of 5 points. A total of 2 votes cast and 0 users reviewed the font.